We have recently tested our new app and although it needs further development it is already functional. 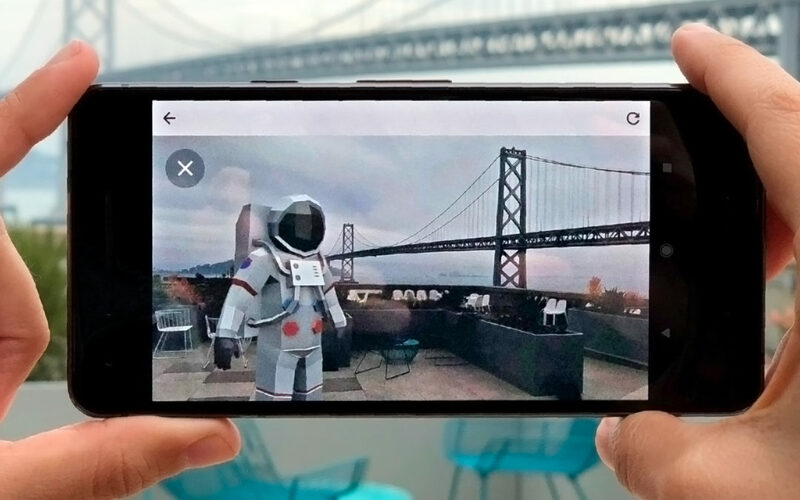 As good as it sounds, just turn on your phone and be ready to see Augmented Reality Spacecrafts wherever you point. Augmented Reality (AR) is a set of new technologies that combine the real world with digital creations. In this new reality we can include images or 3D figures in real objects, we can interact with digital elements that appear to be in the real world or interact with real elements and obtain a digital response. One way of doing this (not the only one) is a pokemon-go-like system, this is, using your phone back-camera to capture live footage of the place you are in, and displaying it live-view in your phone’s screen with some extra digital element. This extra digital element may or may not be a pokemon, for example, it may also be an awesome ESA spacecraft. And that was our choice, we designed an application that allows you to see ESA spacecrafts in augmented reality. You can move them around, or you can move your phone around them, and explore this models in a complete new way. Our new app works on both Android and iOS, and once it’s finished it may be used with educational or leisure purposes. It’s suitable to expand a visit to a museum, to liven up a lesson about space, to explain simple or complex concepts about spacecrafts, or to use it just for fun.